An assassination attempt on Winston Churchill in Ottawa, Canada. Churchill hasn't been in North America a month and this is the second assassination attempt. And this, boys and girls, is what happens when you don't put a scope on your rifle. 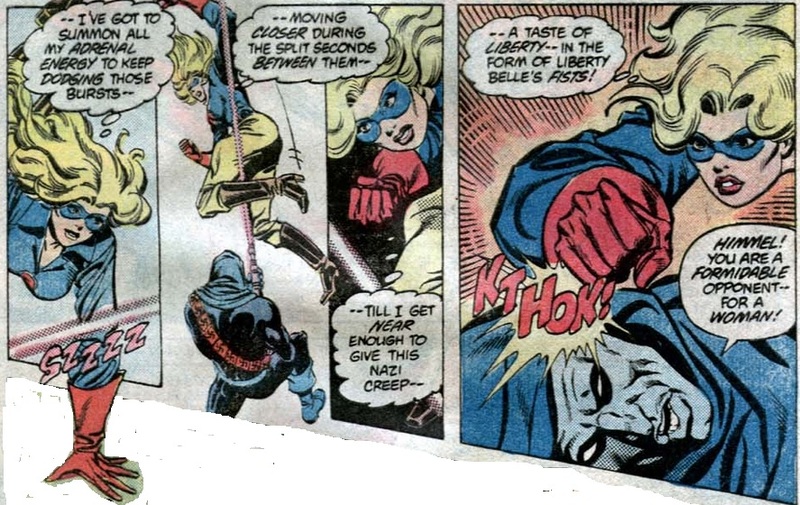 Liberty Belle scores a hit after impressively dodging enemy fire but it's not enough. 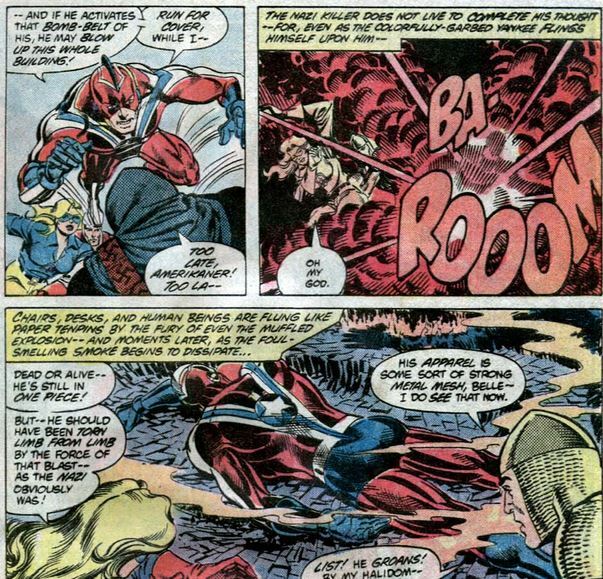 His initial plans in disarray, the assassin morphs into a suicide bomber. Just as the bomb goes off, Steel attempts to block the damage with his body. Steel is well known to the governments. Washington requests that - injured as he is - he be brought back to the States. Canada complies and the UK, in the form of Churchill, goes along for the ride. 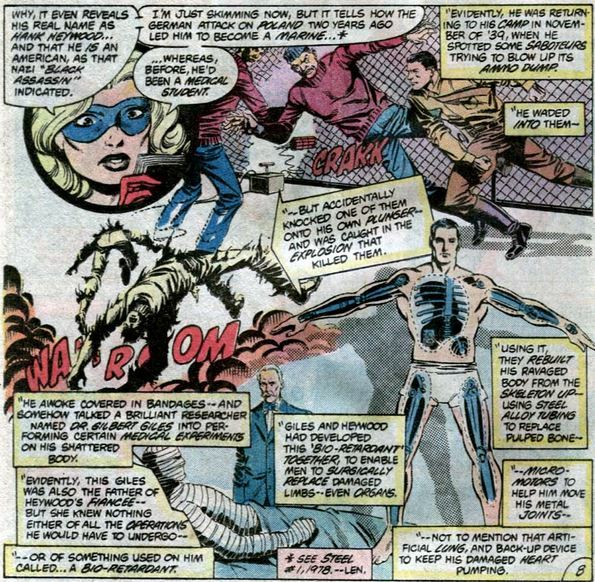 Along the way, a doctor reveals some pertinent things about the superhuman Steel. Steel's journal, which he gave to Churchill, reveals his origin. 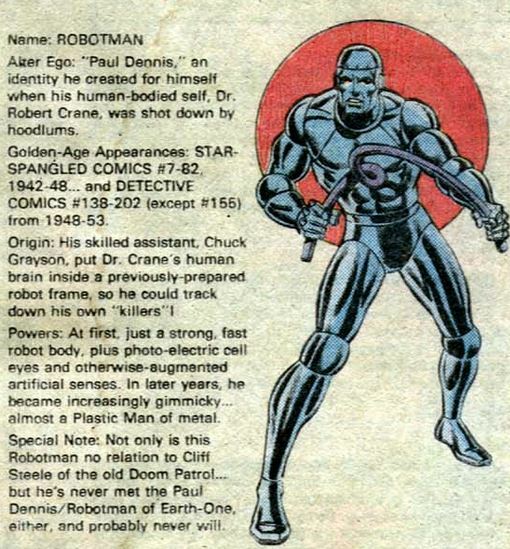 Evidently, Steel is a precursor to the better known Cyborg of New Teen Titans fame. 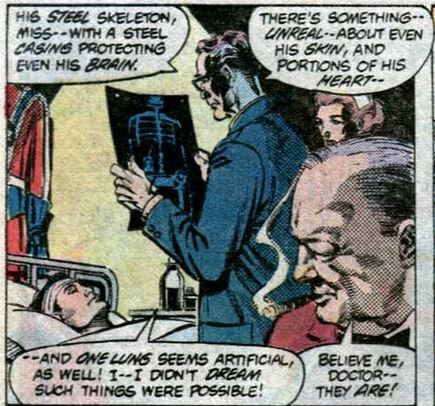 Dr. Giles is the name of the genius that gave Steel his new body. 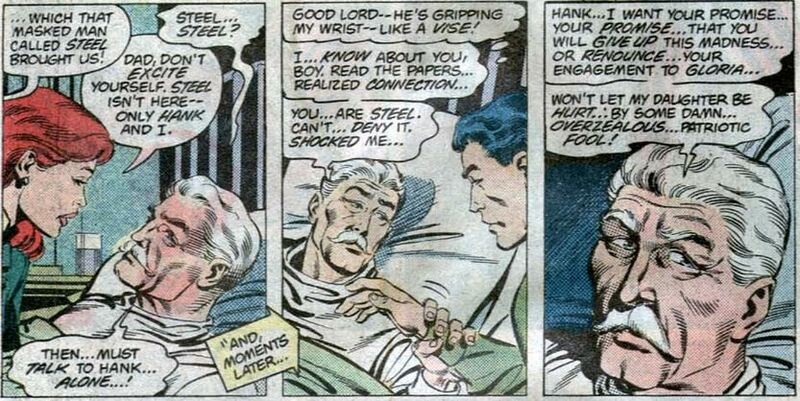 Dr. Giles is also the father of Steel's fiance. 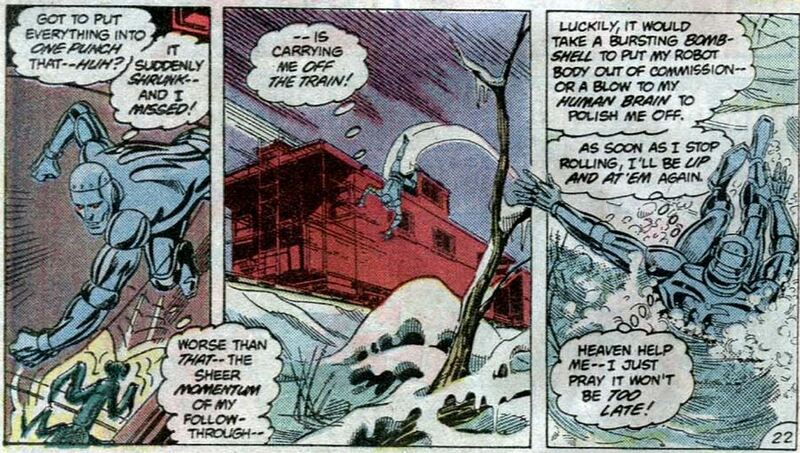 On his deathbed, Dr. Giles asked this of Steel. 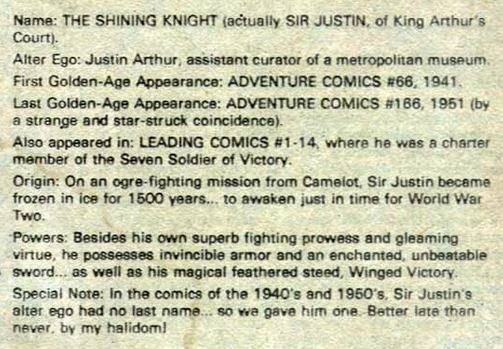 What Steel should have said was this: "You've lived your life on your terms, Sir. Making your decisions for yourself and your life with complete freedom. I respect you, and I know you are dying, but that does not give you the right to force decisions on me or on your daughter. We too deserve our freedom as you have had yours. 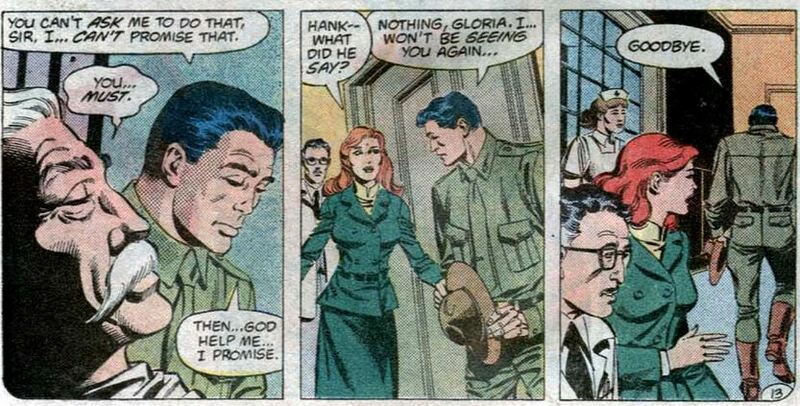 This promise you are asking from me is something no man should ever ask from another. Once again, you have my respect but the course of my life is mine to dictate, as for your daughter she is a grown woman and must decide for herself - neither I nor you should make her decisions for her". Sometimes abuse is couched in such soft and fluffy words isn't it? The nerve of this Dr. Giles! 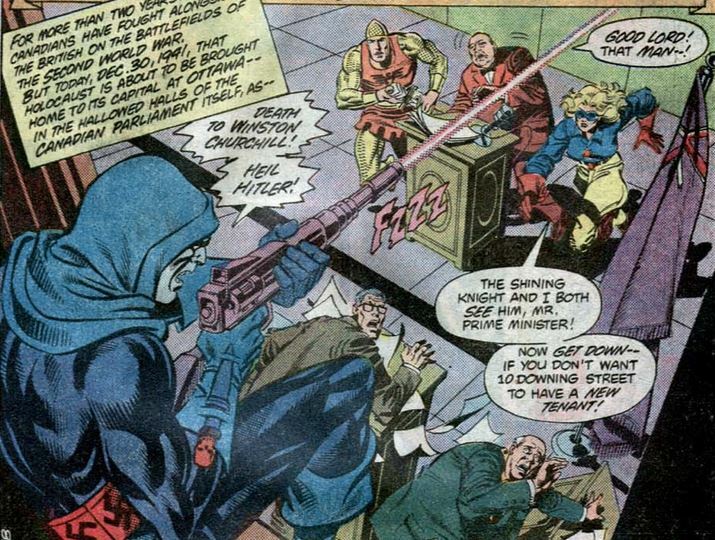 During a night skydive as part of an attempt to kidnap Hitler, Commander Steel maneuvers himself during free fall in such a way as to grab hold of an attacking Messerschmidt. He takes command of one plane then crashes it into the other. They are transporting Steel by train. During the ride an unwanted passenger joins them. 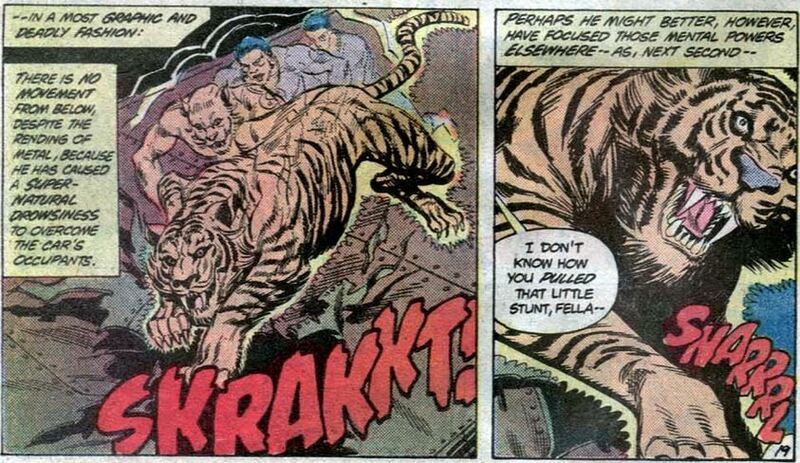 The shapeshifter changes from eagle to tiger. 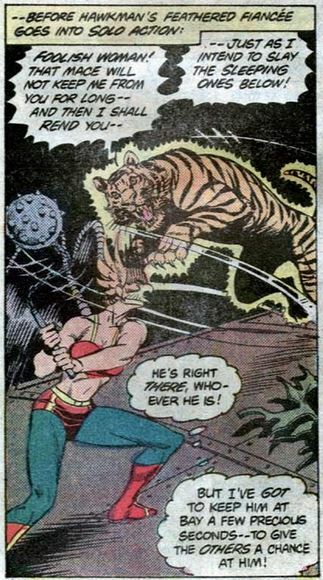 Hawkgirl fails to stop the one called Kung, now it's Robotman's turn. It's a struggle as Kung tries another form. 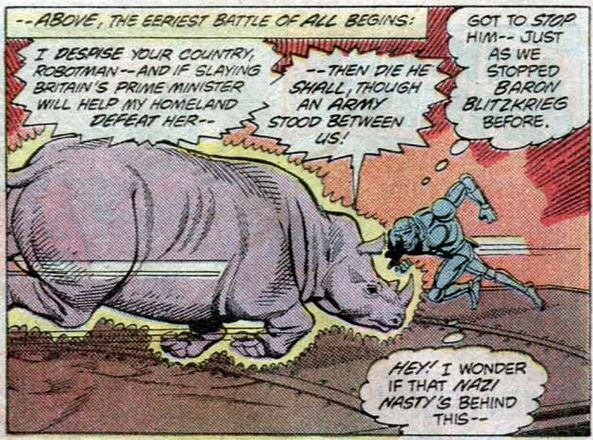 Kung gets rid of Robotman not through strength but through agility. 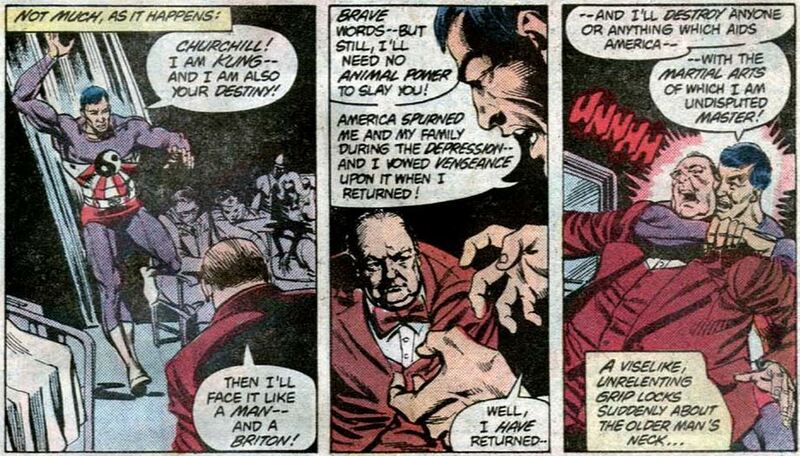 As he confronts Churchill, Kung explains the reason for his hatred of the U.S.
Once again Steel comes in to save the day. 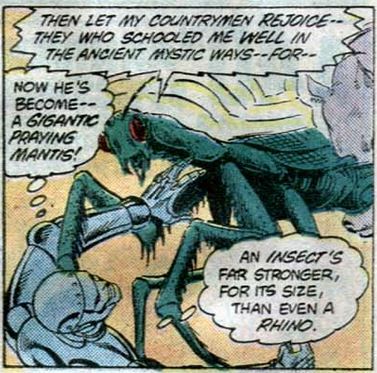 Kung transforms once more and escapes. 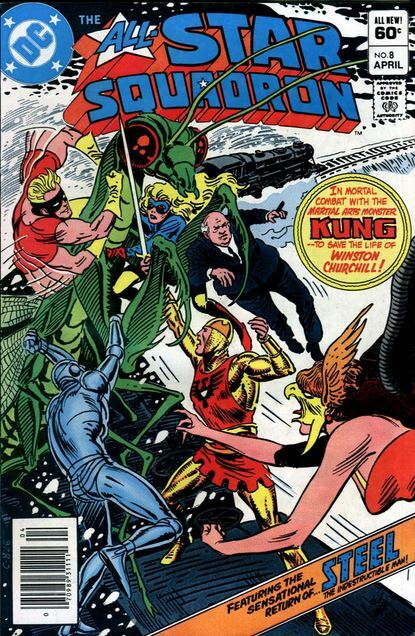 Baron Blitzkrieg had nothing to do with Kung's attack but he does reveal that Steel is his unwitting agent for the assassination of the leaders of Britain and the U.S.
We end with some hero fact files. 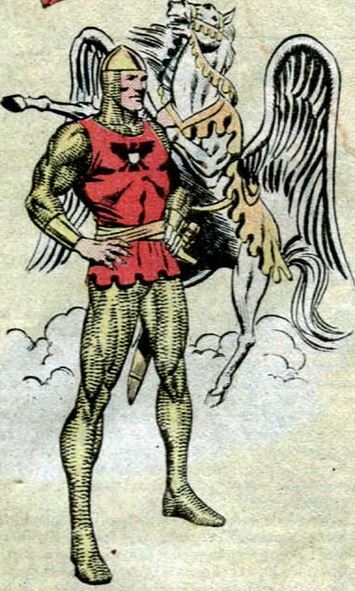 Hey, he's DC's Captain America. 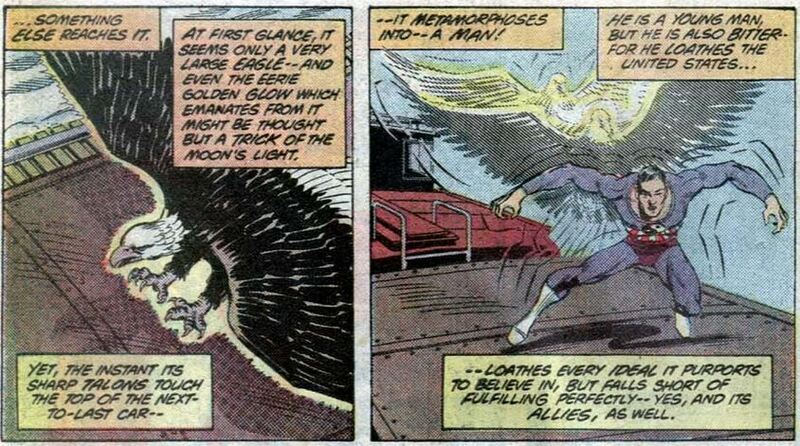 The explanation about the flying is clunky. 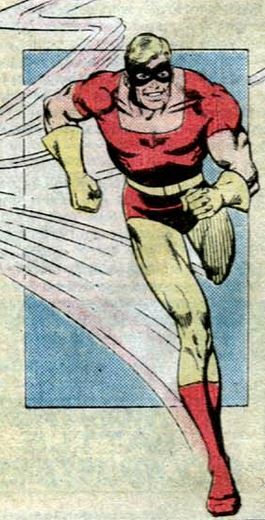 They should simply have him fly at super-speed because that really makes him stand out from the Flashes.